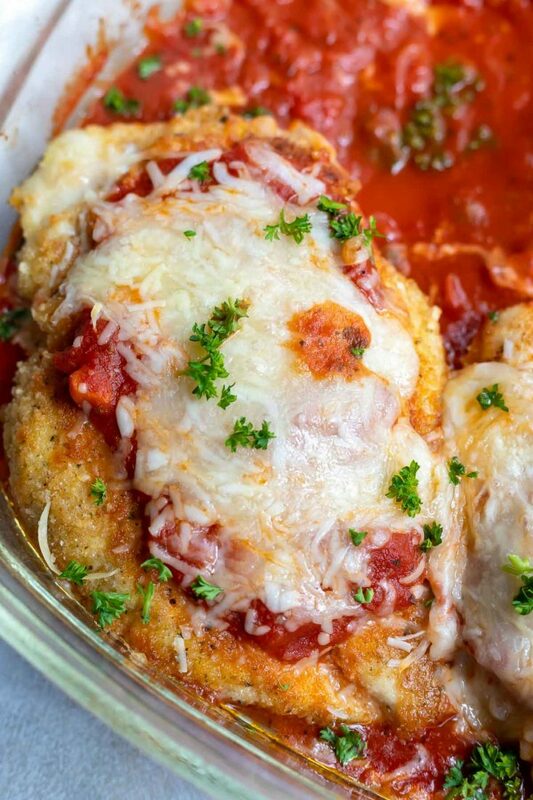 With minimal effort and a few shortcuts this Easy Chicken Parm Recipe is perfect for a weeknight dinner. 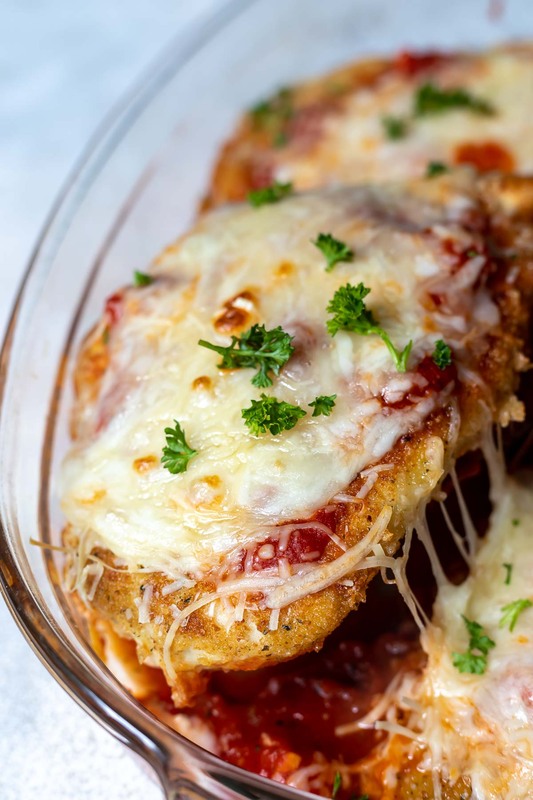 Chicken Parmesan is a flavorful meal that involves crusted chicken breast smothered with mozzarella cheese and marinara. This post has been sponsored by Albertsons Companies family of stores. All thoughts and opinions are my own. This Easy Chicken Parm has so much good going on, where do I start? 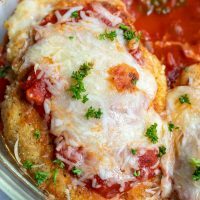 Breaded chicken breasts fried to golden brown then smothered with marinara and mozzarella. Now that is a dinner I look forward to eating . . . especially on a weeknight. And this recipe is quick and easy enough for a weeknight. 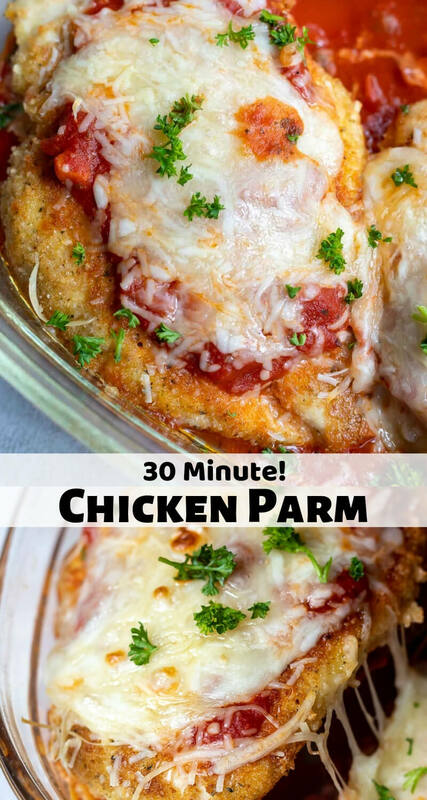 By using jarred marinara sauce and shredded mozzarella we are saving some time and getting dinner on the table fast! 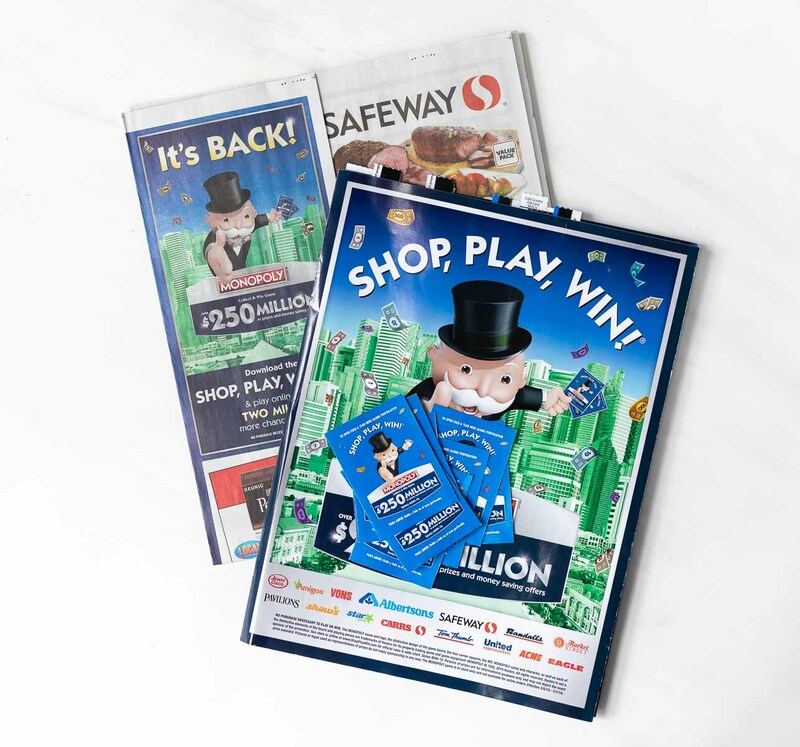 A couple of the necessary ingredients are participating products for the SHOP, PLAY, WIN!® Collect & Win game featuring MONOPOLY at Safeway. I love playing the MONOPOLY Collect & Win game at my local Safeway. I do the shopping I would do anyways, collect tickets and try to win prizes. 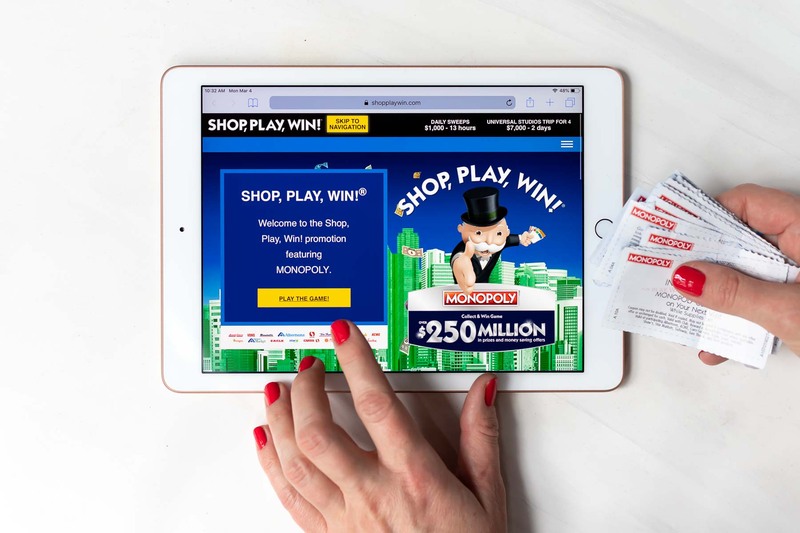 I play the SHOP, PLAY, WIN!® Collect & Win game at my local Safeway, but you can Shop, Play, Win! at any of the Albertsons Companies stores like Albertsons, ACME Markets, Jewel-Osco, Vons, Pavilions, Randalls, Tom Thumb, Shaw’s, Star Market, Carrs/Safeway, United Supermarkets, Amigos, Albertsons Market and Market Street stores. 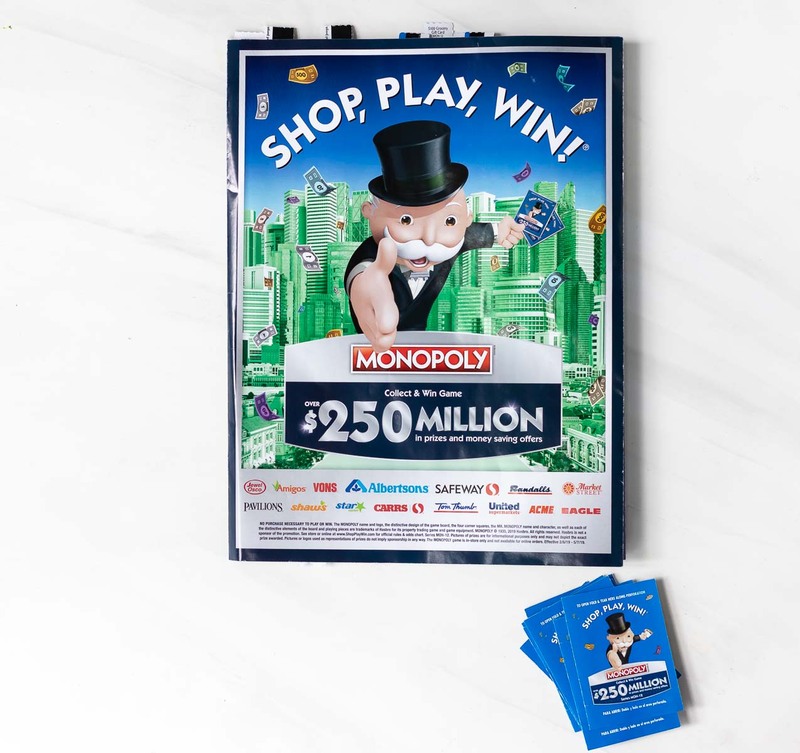 All you need to do is get a MONOPOLY Collect & Win game board from your local store, then shop for participating products to collect game pieces. I’m playing the SHOP, PLAY, WIN!® Collect & Win game for the first time this year. It has been so much fun collecting the game pieces and trying to win. Now I not only save money by using the Safeway J4U app but I get chances to win awesome prizes! While I would be happy with any of the prizes, in all honesty, I’m all about the cash prizes. The game board pieces aren’t the only possible winners. You also get codes to play on the ShopPlayWin website. 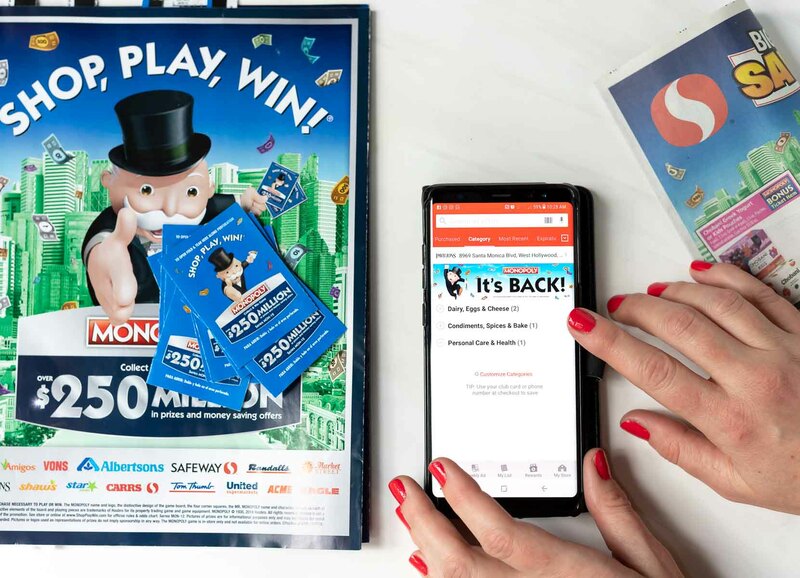 Or you also have a chance to get instant win tickets and coupons. Pound the chicken breasts to 1/2″ thickness. Dredge in flour, egg then breadcrumb/parm mixture. Transfer to hot oil. Fry 2 minutes each side until golden brown. Pour half the marinara into large roasting dish. Place chicken on top. Top chicken with remaining sauce, mozzarella cheese and parmesan cheese. Bake until chicken in cooked through. Vegetables, pasta or garlic bread are all great side dishes to serve with your Chicken Parmesan. 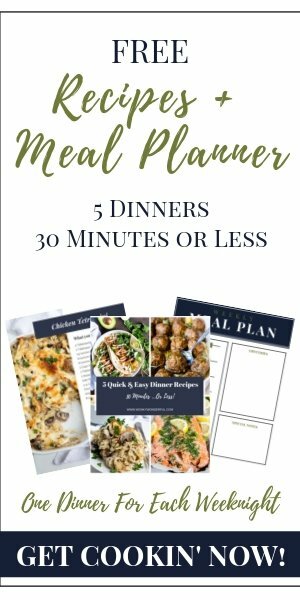 Here are a few ideas for your sides: 2 Ingredient Cheesy Biscuits, Pressure Cooker Artichokes, Spinach Tortellini Italian Pasta Salad or Garlic Bread. 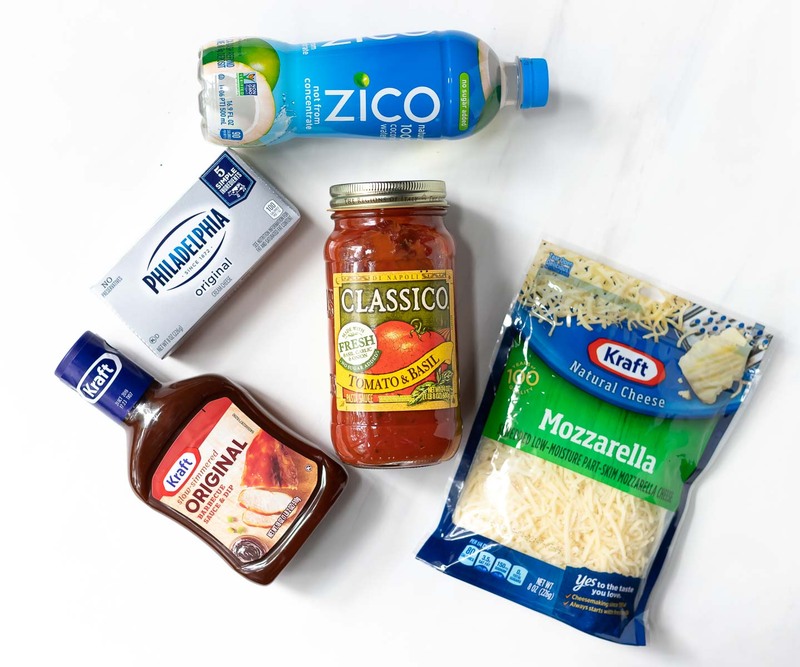 Head to your local Safeway to participate in the MONOPOLY Collect & Win game and all the ingredients to make this Chicken Parmesan. Between two sheets of plastic wrap, pound the chicken breasts to 1/2″ thickness. Mix flour and salt together. Mix breadcrumbs and grated parmesan together. Beat eggs. Dredge chicken in flour, then egg then breadcrumb/parm mixture. Transfer to large skillet with hot oil. Pour half the marinara into large roasting dish. Place chicken on top. Top chicken with remaining sauce, mozzarella cheese and a sprinkle of shredded parmesan cheese. Bake 15-20 minutes or until chicken in cooked through. For brown bubbly tops, broil on high for the last 2-3 minutes.